This is from the MLB.com article on the new uniforms and it make no sense. So you guys are making SPRING TRAINING jerseys and caps that will be worn throughout the REGULAR SEASON and the POSTSEASON??? No one realized that that makes no sense? That's not a spring training uniform, that's an alternate uniform. If you wore the All Star Game uniform in the regular season and the postseason, it would cease to specifically be the All Star Game uniform. It's a lot of marketing speak. But the Astros said that the FL patch goes and the sublimated numbers will go back to normal on that new jersey for use in the regular season, so, technically, Majestic & MLB can call it a ST jersey, and the regular season version is a separate, TOTALLY DIFFERENT jersey! Marketing! It feels like Majestic & New Era are dragging this out to generate interest, when all it is doing is annoying people here. I'd like those new hats a lot more without the FL/AZ patch, but if this is the only hat that will ever be sold that looks like it, I'll buy it and rip the patch off. But I'm waiting for the low crown versions of them anyway, so I'm waiting either way. Absolutely understand your point on the marketing and in a twisted way I don't mind that they do it because that's business. I think I was more venting as a fan of uniforms and jerseys and etc. Realistically it's illogical. Business wise, it is what it is. Like you said though, it's just annoying. Seeing the picture of Syndergaard in pinstripes from Chris's story is infuriating. I can't believe MLB allowed this crap with Majestic eliminating pinstripes from the side of jerseys. There's not a single reason for that to happen. As for the spring jerseys - not good, but mostly harmless. I'm really surprised, though, that they dated these with the year. For those who didn't read the story, the sublimation on the letters/numbers contains 2016. Majestic is really taking a gamble on this new line, and I think it's going to fail pretty hard. I imagine you'll see a whole crapload of ST jerseys and hats on clearance by October at the latest. And since they'll be almost identical to the alternate jersey for many teams, it'll be worthwhile to buy a ST jersey for dirt cheap and rip off the sleeve patch. I don't see this picture in the article. Could you post it here? Also are the retail jerseys gonna have this mesh too? If so I'm gonna have to get that Syndergaard pinstripe jersey NOW. Worth noting: Majestic & New Era are answering questions concerning the new items via Twitter. I've been reading their replies, and they've been answering with details where they could. The only thing they won't answer was specifics concerning the design differences between the ST and BP hats, and anything regarding changes to new designs that haven't been revealed yet. Also, they said ALL 30 teams are offered the BP jersey, but it's up to each team to wear it or not. So the Astros BP jersey should still technically exist, even if it never gets worn. You can't see all that clearly from this angle, but this is crap. The tramp stamp logo is just dumb, but the side panels are inexcusable. MLB has been whoring itself with these garbage stars and stripes/camo caps for a few years now, then even matching jerseys the last two years. But for some reason I thought MLB was smarter than to fall for the crap the NFL fell for about uniform technology and the teams' design taking a back seat to the supposed function. Clearly I was wrong. The regular season BP caps are the same as the Spring Training caps, but without the patches. Theyre identical to last year's caps, only with the league logo subliminated onto the side of the hat. I can't imagine this option is what they're gonna do and I'd almost put money on it being option #1, but I wouldn't put it past New Era to try and milk every dime they can out of people. I forgot to mention, while these range from whatever to awful, the one great thing to come from this is the Royals cap. I actually wouldn't mind if they wore that for the entire season. My head is still spinning, all these moves are somewhat unusual. The good: The ST jerseys no longer have wacky stripes and colored panels and weirdo necklines. The bad: For teams that have new designs this year, it's as if their new alternates (such as Houston and Tampa and even Minnesota) were designed to look like BP/ST jerseys. They're not terrible but just very plain or have some design flaws. EDIT: Actually the TB one blows as a regular season alt, they failed on that one pretty bad. The Jays cap makes zero sense. Why is it in Yankees colours? I thought the entire point of the maple leaf BP caps was to put more red into the jerseys to better represent Canada? Definite upgrades in the BP hats - the new Marlins hat is pretty awesome. I was ready to post this in the unpopular opinion thread before reading your post. This hat is looking great! This seems like a huge step backwards, and more like change just for the sake of change. I'm glad I bought that cap when I did. No idea if the Jays are going to keep it around. I 100% with you... The Jays need to bring back that white-paneled cap and wear it, at least as a Friday alternate or something. 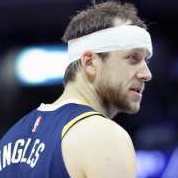 Are the league logos on the caps the older, detailed ones, or the more simplistic ones that were created in the late 90s? - I really dig the White Sox "batter man" in black and white a whole lot more than in the original colors. I just might buy that hat. - I really wish the Mariners went with a teal cap instead, but this one isn't too bad. - It's been nearly two months and my opinion that Arizona looks like a raging dumpster fire still hasn't changed. - The style of jersey as a whole being employed here is much more professional looking (except for you, Arizona and Houston) and a vast improvement over the typical cookie-cutter BP jerseys we've seen before. 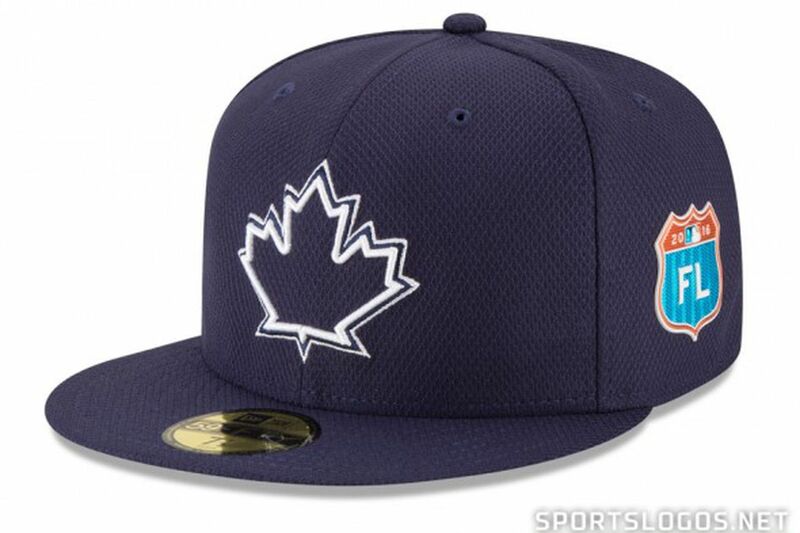 - Everything tells me I shouldn't like Toronto's hat, but for some reason I really, really do. For me, the Orioles MUST have an orange bill for any primary cap, but I would take this all black alt in a heartbeat over the stupid "O's" cap.. I think it would look good as an occasional road alt with the grey's or even the orange.. They could even (VERY rarely) use it for a "black out" themed uniform.. But I would never want to see it reach any level of primary rotation status.. The white panel home and black crown road, each with orange brims, are all the birds really need..